We were treated to two holiday concerts this year and both were fabulous. E did a good job learning all of songs. Last Friday we attended the Children's Symphony and Choir concert at our church. It is a real treat to hear music by a live orchestra, and that they were students made it better. The musicians are from the Etobicoke School of the Arts and from our congregation. They put on a great show. 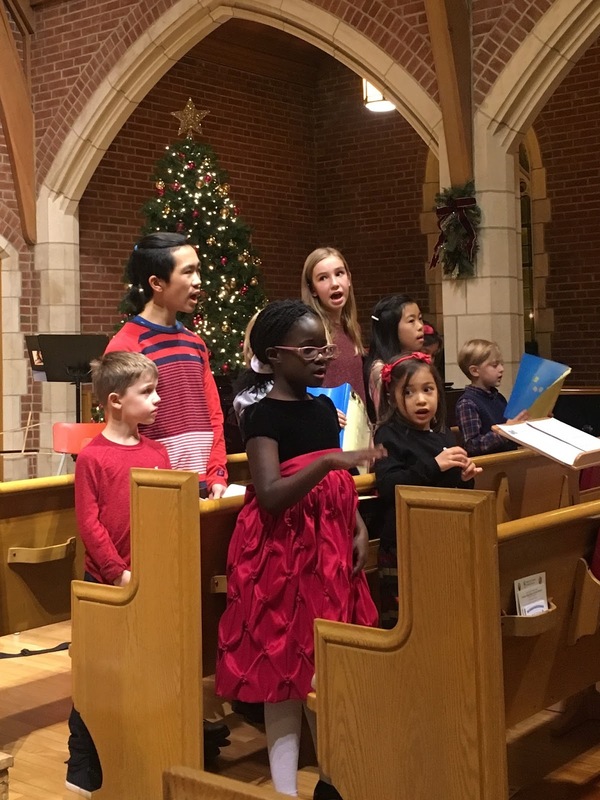 The children's choir also sang a few numbers, narrated Twas the Night Before Christmas, and E got to play the jingle bells for the finale. This week we went to E's school concert. For his first two years the concert was in the afternoon, but grades 1 to 3 have their concert in the evening. E's grade sang two songs and then the choir, that is is also in, finished the concert with five songs. The students all worked very hard, and so did the teachers! We really enjoyed all of the music. Waiting for the time to go to his classroom, along with the gift for his teacher (not wine). Q did well to stay up later than normal. He clapped and enjoyed the music too. The grade one class getting set up. Their second song had actions which they all nailed. 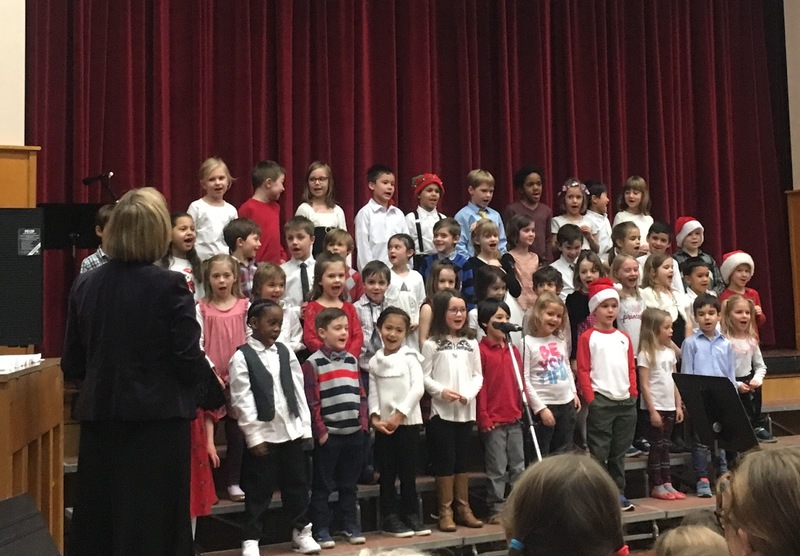 A shot of the choir from all grades. Hard to make out E, but he's second from the bottom behind the girl with the black sweater. E looks sharp in his black pants, shoes, white shirt and tie! 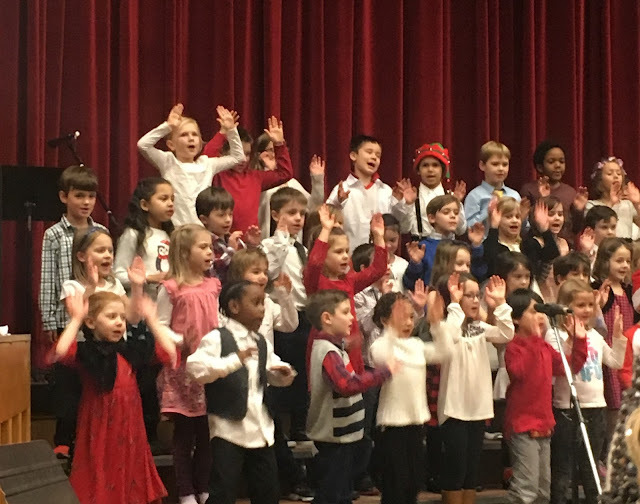 We had our concert today. Aren’t they special? !